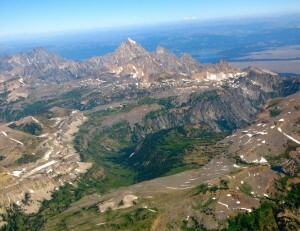 Come to Jackson Hole for great Alpine style flying! With numerous sites and large amounts of vertical, Jackson is the place to come for your flying holiday. Start early with us at the Aerial Tram, fly as many laps as possible, catch some midday thermals, fly XC, and then enjoy incredible glass-off conditions at one of our evening sites. We can help arrange lodging and shuttles, just let us know how we can help you. Meet at 945 am at the Bridger Center Mountain Sports Desk at Jackson Hole Mountain Resort.